I travel around the country giving presentations on employer branding and building and promoting an employer value proposition. I usually highlight employer brand success stories. But as major brands like Goldman Sachs and Zynga stumble into PR crises, I thought it might be useful to help your company avoid the most common employer branding mistakes. Your employer brand embodies your employees, your culture, your vision, and your values; these are impossible to fake. So if you’re a fast-paced company with an entrepreneurial culture, don’t market yourself as a laid-back environment with unlimited vacation days. 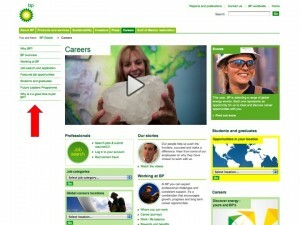 I remember looking at the careers site for BP several months after the 2010 oil spill and being shocked to see that it looked the same as before the spill. Surely the eco-minded Generation Y or Gulf Coast residents affected by the disaster might hesitate joining the company afterwards? 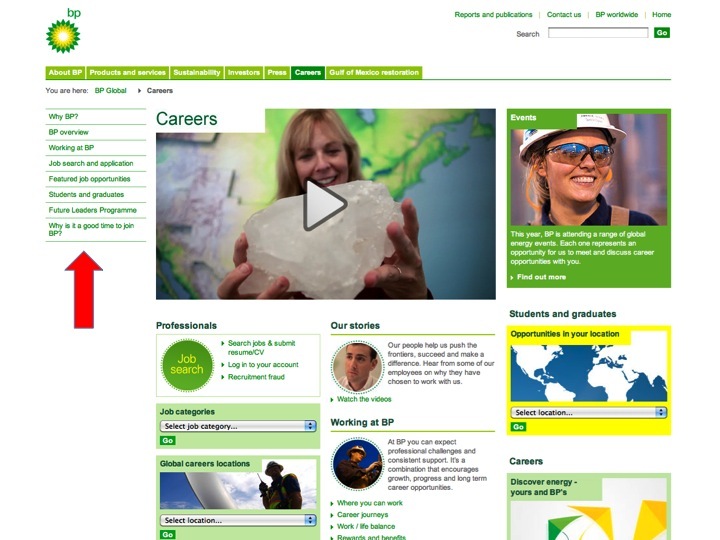 But there was only one acknowledgement of the situation – a tiny text link on the sidebar that asked “Why is it a good time to join BP?” Why indeed? The are dozens of salty snacks on the market, so how does Doritos stand out? By having an attitude: Coming in crazy flavors with cool names and bright packaging. In the same way, your employer brand has to be distinctive. Avoid bland themes like “Grow your career with us” or “We offer work-life balance.” Almost any job can become a career and almost every job lets its employees go home at night. So many careers websites begin with, “Company X was founded in 1950 and now operates out of 75 offices in 12 countries.” Does that year mean the company is old-fashioned? Do those 12 countries mean employees get to see the world? Do the 75 offices mean employees can be transferred against their will? Stand-alone facts like those can be both boring and confusing, a deadly combination for anyone looking to top motivate talent. Remember, you’re trying to create an emotional connection, so facts and numbers can only get you so far. Instead, talk about how your company helps people’s lives. Let employees share their stories. Show your workplace. Highlight employee events, rewards, volunteer work. Never be boring. Be authentic and differentiated, and add an interesting and emotional component to your recruitment messaging. If you can’t always leave them laughing, at least leave them hungry to learn more. Let me know If you’d like to learn more – on LinkedIn, on Twitter, or right here in the comments.